The US Justice Department has agreed to a settlement with Disney that will allow it to purchase most of 21st Century Fox’s assets. As part of the settlement, Disney will have to sell off 22 of Fox’s regional sports networks. Disney’s purchase isn’t yet final. The settlement must first be approved by a federal judge, and Fox’s shareholders also have to vote in favor of the deal. Disney said in a statement that it is pleased to resolve the Justice Department’s “limited potential concerns.” The company had earlier said in proxy filings that it would sell the sports networks if required by the government. Disney first reached an agreement last December to buy most of Fox’s TV and movie assets. The company sweetened its offer earlier this month after Comcast tried to gatecrash the deal. Comcast (CMCSA) has not said publicly whether it will try to counter again. Comcast did not immediately respond to a request for comment Wednesday. Last week, Fox said it would still consider bids from other companies, even though it believed Disney’s new offer was better than Comcast’s. Q 100.7fm is a radio station owned and operated by The Caribbean Broadcasting Corporation located in Barbados West Indies. The station caters to ages 45 and over, playing all music genres from 50’s, 60’s and 70’s and highlighting Barbadian artistes. Our daily programming also reflects community life, past, present and future. 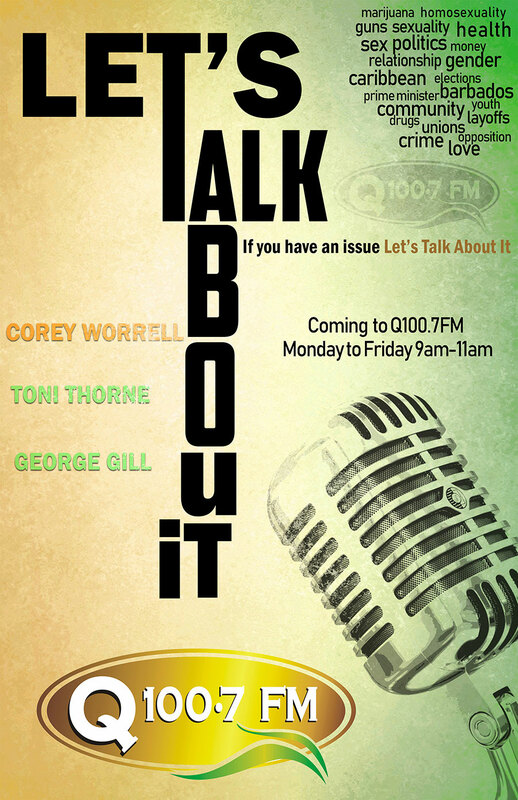 We are also the originators of the Radio and TV8 Show Q in the Community aired every Thursday 11am-5pm. We invite Barbadians and Caribbean people from all over the world to log in, listen, comment, send requests, and tell us stories about their lives and homes on qfm.bb. and our slogan Q…is good for you..